TP-Link's smart stuff is really solid and really affordable — all the more so since it frequently goes on sale. Until midnight tonight, you can grab an absolute banger of a deal on the company's Smart Plug Minis. Normally $25 apiece, they're currently $27.99 for a two-pack at B&H. You can use the plugs to do all the smart stuff you'd expect, like scheduling routines and turning stuff on and off remotely. They integrate with Google Assistant, Amazon Alexa, and IFTTT, too. The company's HS100 and HS110 models were on sale last week, with the former going for less than this deal at $22.99. While that was a cheaper package overall, it was less of a discount; two HS100s normally go for $33.95. 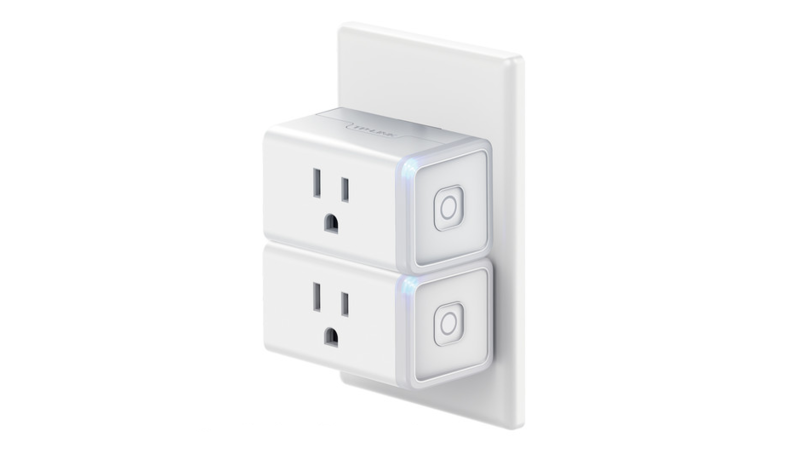 What's more, these plugs here considerably smaller, taking up less room on an outlet and allowing for the use of two of the suckers right on top of each other (as seen above). This price is only good until midnight tonight on the East Coast (that's 9 p.m., Pacific), so if you're interested, scoot over to B&H before it's too late.